Alabama to play at Keith Urban's "We're All For The Hall" benefit! 2005 CMA Entertainer of the Year and four-time Grammy Award winner Keith Urban, this year joined by an all-star lineup of some of country music’s most loved groups, will return to Nashville’s Bridgestone Arena on Tuesday, April 10, for a concert to benefit the Country Music Hall of Fame and Museum. The show—which will feature performances from an all-star line-up including Alabama and Vince Gill, Alison Krauss & Union Station, The Band Perry, Blue Sky Riders, Diamond Rio, Exile, Lady Antebellum, Little Big Town, The Oak Ridge Boys, Pistol Annies, Rascal Flatts and Thompson Square—again promises to be a one-of-a-kind, once-in-a-lifetime evening of music, friendship and camaraderie. “My goal for the concert, is really the same as the halls’," said Urban. “To help country fans connect the dots – to find out where their music came from, how it’s evolved (and is still evolving) and to discover the artists that have influenced their favorite artists. 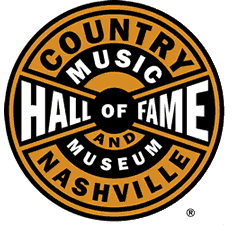 Country music is like a big beautiful strange family tree and nowhere is that more honored than at the Country Music Hall Of Fame and Museum." All for the Hall is the museum’s first-ever non-bricks-and-mortar fundraising initiative. The campaign addresses the not-for-profit educational institution’s need for long-term financial security and provides a safety net for its work. Through ongoing exhibit schedules, scholarly publications and hundreds of school and family programs annually, the museum teaches its audiences about the enduring beauty and cultural importance of country music. Museum Board President Gill created and has led the institution’s All for the Hall fundraising initiative since 2005. Reserved seating tickets, which are priced at a family friendly $25 and $35 (does not include Ticketmaster surcharge), are on sale now at ticketmaster.com. A limited number of VIP ticket packages will also go on sale on January 27 at Ticketmaster.